They may be considered among London's most peaceful thoroughfares, but with the growing popularity of canal towpaths, are these routes are now prone to the kind of aggro you'd expect from a Saturday afternoon on Oxford Street? This is the view of the Canal & River Trust, which is launching a campaign to tackle speeding and barging (as opposed to barges) along the city's waterways. Of course it’s great that so many people like cycling along our lovely canals but it’s important to remember that there are a lot of pedestrians on the towpath, many of whom are children. Please help by being considerate of other users, slowing down and remembering we are all there to enjoy the space. If you are in a rush, the towpath is not the best place for you so please choose a different route. 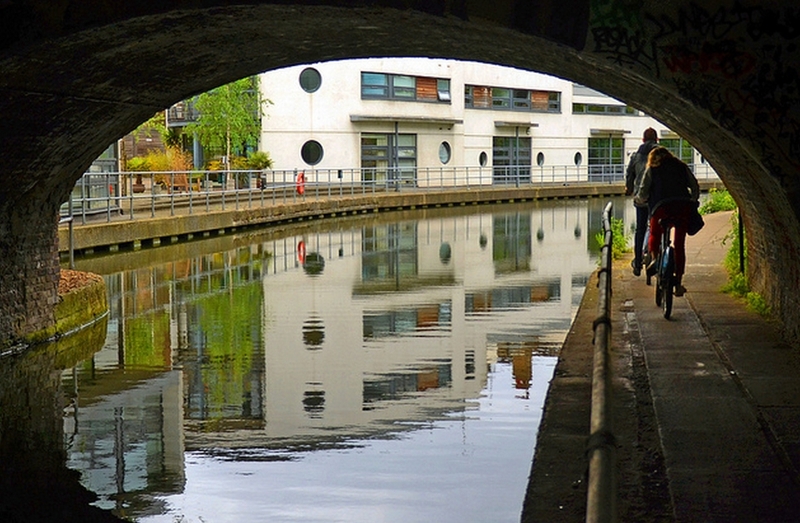 The counter argument is that towpaths provide a safe passage for cyclists and pedestrians through the city; after all, 85% of incidents involving cyclists in London happen at a busy junction — virtually non-existent if you're travelling along a canal. The Canal & River Trust will be extending their own old-fashioned manners, by asking people nicely to heed their advice; on 6 October those using the towpath on the Regent’s Canal by The Proud Archivist will be serenaded by a string quartet. Perhaps if there was a string quartet permanently installed every 100 metres along London's canals, everyone would be inclined to slow down. What are your opinions? Are cyclists and other potentially fast-moving objects a menace to the towpaths? Or are towpaths the only safe route through London? Tell us in the comments.